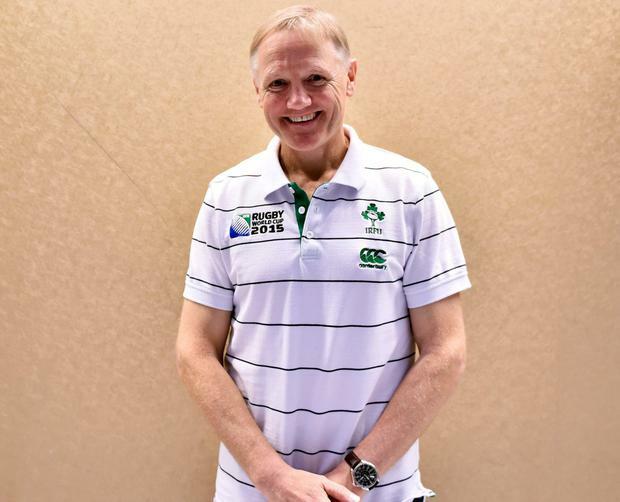 It is difficult to imagine Joe Schmidt, the civilian. It is difficult to envisage him staying a civilian for long. Yesterday, Ireland's greatest rugby coach and the newly-crowned World Rugby Coach of the Year announced his decision to give up coaching to devote more time to his family. He is expected to return to New Zealand for a period, where his daughter and mother both live. In public, he is defined by his job but he has always been conscious of the impact his obsession with making Leinster and Ireland the best they could be has had on his close-knit inner circle. He and his wife Kellie have been in Europe for 11 years now, since she convinced him to follow his ambition and take up a role as assistant to his old friend Vern Cotter at Clermont Auvergne. Success there took him back to Ireland, where he had lived for a brief stint in the 1990s, teaching at Wilson's Hospital School and playing and coaching for Mullingar RFC. He made a local impact back then, but his second coming has been so successful that he leaves a beloved national figure known to most simply by his first name. Schmidt has charmed the nation with his boyish grin, but it is his winning team that will endure. By now, the general public are very much aware of his ruthless nature and incredible work ethic that has seen him mould Ireland into a winning machine. His record of success is extraordinary. In three seasons at Leinster he delivered two Heineken Cups, a Challenge Cup and the PRO12. After graduating to the Irish job he continued that strike rate with back-to-back Six Nations titles and, following a disappointing World Cup and a rebuild job, last year's Grand Slam. He has managed Ireland to so many historic firsts that, if they manage back-to-back Grand Slams or get past the quarter-final of the World Cup, there might not be any left for Andy Farrell to achieve. Ruling the Irish system with an iron fist along with his old boss from the Auckland Blues David Nucifora, he has re-shaped a previously dysfunctional system that held back the national team at various points. He made unpopular decisions and burnt the odd bridge, but when your results are as good as Schmidt's the results business forgives and forgets. Players may dread his video review sessions and make fun of the intensity of his Carton House camps, but he has enabled them to stock-pile medals and achieve like no Irish team before them. Schmidt makes much of the player-driven environment and is always keen to spread acclaim to his assistants, but you don't need to do much dusting to find his finger-prints on every level of the Irish game. After letting the cat out of the bag on his big decision on Saturday, the coach reflected on the impact his attention to his job can have on his family life. "I guess I'm my own worst enemy when it comes to working. I tend to be a little bit of a workaholic and so if there's a competitive advantage that I can find that I can help players attain then I'm going to be looking as hard as I possibly can," he said. "And that means that I'm out of the house a fair bit or even at home I'm plugging away, looking at things with a microscope. So that's probably a character flaw. If you probably talk to some of the people on the staff, it's one of many I have." It is easy to say you're putting family first, but it is much harder to do. This can't have been an easy decision. He won't be short of job offers when he returns to New Zealand, where he taught and coached before leaving for Europe. And yet, it surely won't be long before European numbers start appearing on his phone offering him the chance to dust off his peaked cap and boots to get back into the game. An Irish citizen, the door will always be open for a return while he never misses a chance to parlais a bit of Francais. Those running New Zealand rugby will also be keen to know of his future intentions. If he isn't to coach, then perhaps some role in the performance side could tempt him to keep his hand in. Likewise, the Lions could test his resistance with an offer to take the team to South Africa in 2021. But the way Schmidt explains it, it needs to be a full break for him to be able to devote the time and energy he needs to his family. In football, Pep Guardiola took a year out of the game in between jobs to recharge before the lure of the game drew him back in. Just 53 and at the top of his game, Schmidt is one of the most innovative, hard-working coaches in the business. And while he will retire next year, there are still 11 months left in rugby for him to channel his efforts into Ireland's World Cup bid. Given succession planning is all the rage in Irish sport right now, the lame duck theory is cropping up regularly. But the idea that the Irish team would drop their standards and hamper their own ambitions of winning the William Webb Ellis trophy next November doesn't stack up. Schmidt won't allow it to happen. No-one can take away his achievements since landing on this island, but he knows his legacy will be defined by the performance next year. The 2015 quarter-final remains raw and everything he has done since has been working towards the goal of achieving when it matters most. Now that his big decision has been made public, he can channel everything he has into the project. The players are on board. "In sport you hear a lot about belief, but I think deep down in the back of your mind there's always this little voice that's chatting away to you if you haven't achieved something," Rob Kearney said. "We'd been saying for the best part of 10 years that as an Ireland team we could beat the All Blacks, but until you actually achieve it, you never 100pc believe it. "So to do it in Chicago was fantastic, and to do it again this month was brilliant. "But the margins between No1 and No7 in the world is so fine. South Africa are going well but Wales beat them, Fiji went and beat France and England were very unlucky not to beat New Zealand." Yesterday was the beginning of the long goodbye and unsurprisingly Schmidt and the IRFU settled for a press release to mark the occasion rather than a conference. The announcement led the Six One News and was greeted by an outpouring of tributes. Delivering a World Cup before joining the civilian ranks would be the perfect way to say goodbye. The RFU are paying the price for letting Andy Farrell slip through the net - but will Ireland be any easier?